Coloring books (*aheam* for adults of course), are becoming all the rage. They're everywhere! So why not create an encouraging prayer journal, then illustrating it with beautiful pictures just asking to be colored? Tyndale has done just that. 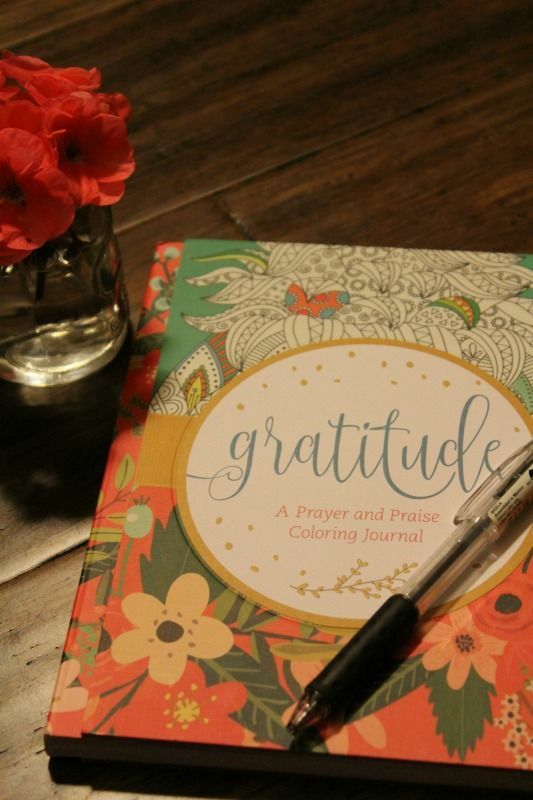 The Prayer and Praise Coloring Journal I chose is called Gratitude, and quite frankly I didn't know if I'd hate it or love it. I'm not a fan of coloring books in general (not even as a child), but I'm a writer and anything with the word journal in it, I'm bound to try. This is a beautiful book, begging for an artistic hand (which I do not have), and the journaling and prayer prompts are so inspiring, encouraging us to repeatably thank God for all his blessings, look at ourselves through Jesus' eyes, and cast our cares on Him. The color pages are oh so gorgeous, and I especially love the ones depicting nature. Overall, the book is perfect for anyone (ladies, girls) who love art and want to express their love of Jesus through that in their quiet time.